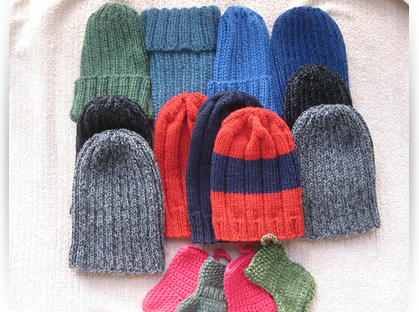 Thank you so much for the hand knitted hats. We just had our monthly morale event which was held outside the MWR pavilion. It was a cold, rainy night and these hats were a big hit! Everyone was wearing one to try to stay warm during the bingo game. Many people walked away with a couple of different color hats. We are headed home in two more months back to Colorado. These hats will come in handy as we will be arriving during the cold winter. Thanks again, We appreciate your support.